SHJD7700 was successfully added to your cart! SHJD7700 could not be added as a favorite. Please make sure you are logged in. 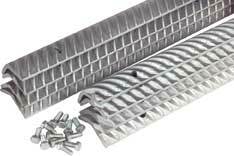 Cylinder bars. Heat-treated, set of 8. For John Deere combines 7700, 7720. High-grade, cross rolled steel construction. Balanced for equal weight distribution on the cylinder. Heat-treated and chromed, set of 8. For John Deere combines 7700, 7720.